FAIRHAVEN, Mass. — Southcoast Health announced today that its Urgent Care centers have received the Accredited Urgent Care designation from the Urgent Care Association of America. With this accreditation, which is the highest level that can be earned by an urgent care center, Southcoast Health demonstrates its unwavering commitment to high-quality care. 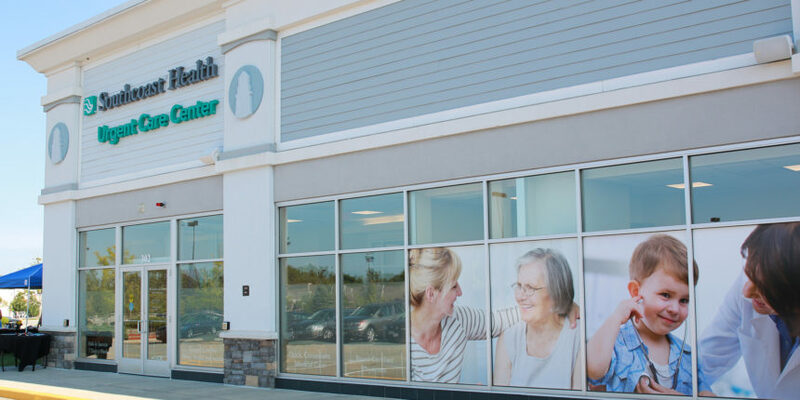 Southcoast Health currently operates four Urgent Care centers across Southeastern Massachusetts, including Fairhaven, Wareham, Dartmouth and Seekonk. Southcoast Health’s Urgent Care centers provide patients with walk-in, extended-hour medical attention with licensed providers for a large scope of medical conditions. Each facility has met all of the Urgent Care Association of America’s established standards and criteria for quality of patient care, safety and scope of services. When a medical condition cannot be handled by a patient’s regular doctor – such as unexpected cuts, burns, sprains or fractures that do not require a visit to the emergency department, Southcoast Health Urgent Care centers are equipped with x-ray, laboratory services and licensed providers are always available to perform minor procedures like casting and suturing. Southcoast Health Urgent Care centers are open to the public, treating both adults and children (6 months of age and older). Walk-ins are welcome, and no appointment is needed. Patients are not required to have a Southcoast Health primary care physician, and the patient’s primary care physician is electronically alerted to the visit in order to achieve the best continuity of care. For added convenience, patients seeking services at Southcoast Health Urgent Care centers can wait in the comfort of their own home until it’s their turn to be seen with its online check-in system. Visitors to www.southcoast.org/urgentcare can find the closest center, its current wait time and click “Save My Spot” to get in line electronically.